1 killed, 2 injured in collision between two vehicles. 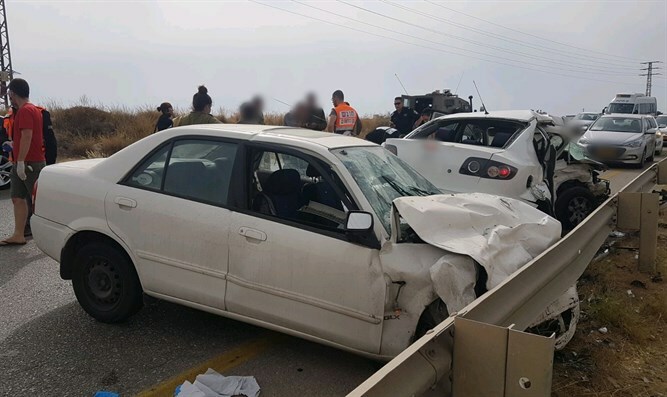 A 25 year old woman was killed in a collision between two vehicles near the town of of Oranit in western Samaria Tuesday afternoon. Magen David Adom teams summoned to the scene attempted to treat the woman, but were forced to declare her dead after resuscitation efforts failed. Two other people were injured in the accident. A 19-year-old woman was moderately injured and suffered chest and limb injuries, and another person was lightly injured. The MDA teams treated the injured at the scene and sent them to Beilinson Hospital in Petah Tikva for further treatment. The road has been blocked to vehicular traffic and an investigation has been opened into the incident.